What started as another unpractical dream: a group of artists materializing a gallery space and creating work to be shown in the space based on the experience of creating the space. I called it Groupcracia. The more practical of you can easily spot the flaws. And galleries, I was told, wouldn’t take the risk of committing real estate to unknown quantities. Not to mention this irksome work-in-progress nature – how to fit it in the curatorialsphere ? Mainly, I think, this was not meant to be as such notions of interchangeable roles between administrative and artistic… too much, just too much. We are supposed to push the envelope – but not like this, they said. 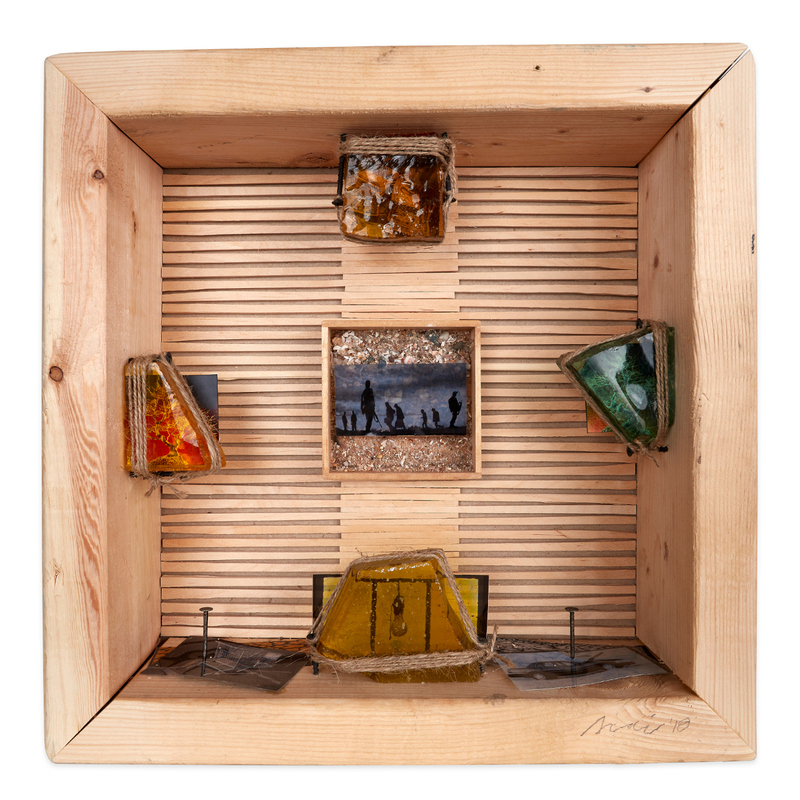 Enters Joseph Cornell, from whom until then I knew so little. A stack of books borrowed from NYPL later, Groupcracia became Introspective Collective. 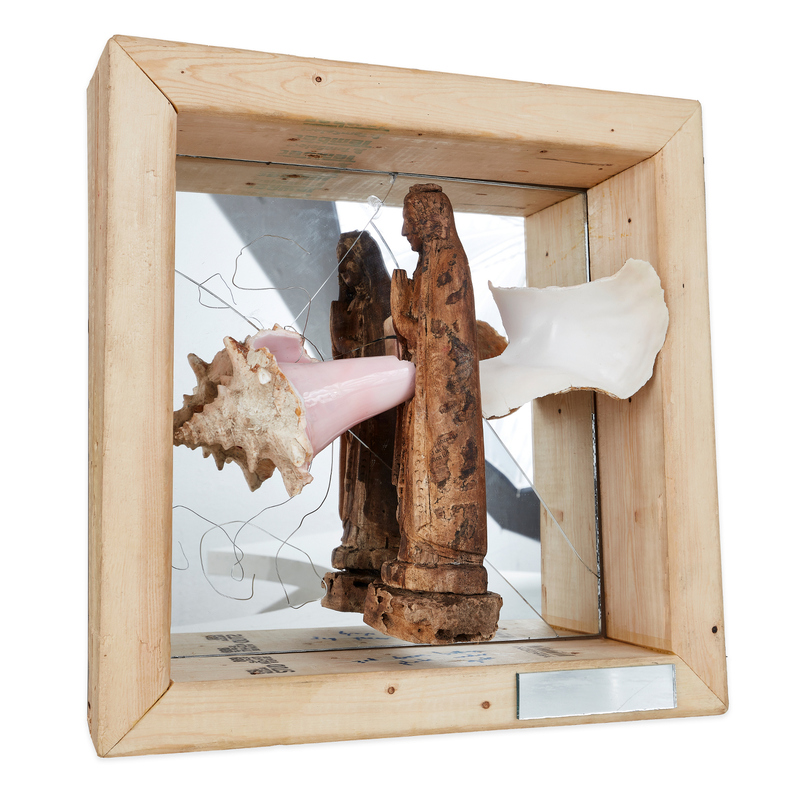 This iteration branched at the hip like conjoined twins: part existing work that had an affinity with Cornellian visions, part new work created in response to the experience of interactions in preparation for the show itself. Still a little convoluted, but at least not as much of an unknown quantity. I lost track of how many applications I sent out over the past 3 years, but that is immaterial: the only place were we could fit called me, and we needed none other: The Clemente, in the Lower East Side, with its majestic building and its ambitious mission, somewhat at odds with itself, as any other thing that is full of life. It happened all of the sudden, too, some other group dropped the time slot and we were given a handful of weeks to get our act together. Our act together we did get, with KS Lack joining as co-organizer (we resisted labeling ourselves curators, and anyway we loved how the bilingual wall text set us right as Las Organizadoras!) With her on board the project grew more complex and more ambitious. As for the space, shabby-chic and DYI was among the definitions I heard. KS said “we will wear it well”. I can’t tell you how happy I felt when she walked in and proclaimed this. Clockwise from top left: watching lobster boats dream by KS Lack, Experimental Research on the Nonexistence of Borders by Colin McMullan, curatorial wall text, Untitled (Barro y Concreto) by Aurora De Armendi and James Kelly. Six weeks to create for six another weeks to run, twenty artists, one host institution and another one as partner, plus two grants. It was dizzying. Did I tell you how much fun we had when we laid our hands on a vinyl cutter? As we were groaning under the weight of those wall texts a friend said “you know, you are not MoMA”. Yeah right. Guess what, we might not be MoMA but we behaved as if we were. Las Organizadoras once again wish to thank The Clemente Exhibitions Committee Board Member Linda Griggs and The Center for Book Arts Executive Director Corina Reynolds, for having believed in us. Special thanks also to Peter Schell and Colin McMullan, for having saved us on the opening day, and to Argenis Apolinario for his superb documentation skills. Introspective Collective – A Joseph Cornell Co-op, was as multi-media exhibition installed at the LES Gallery in The Clemente from December 7th 2018 – January 20th 2019. 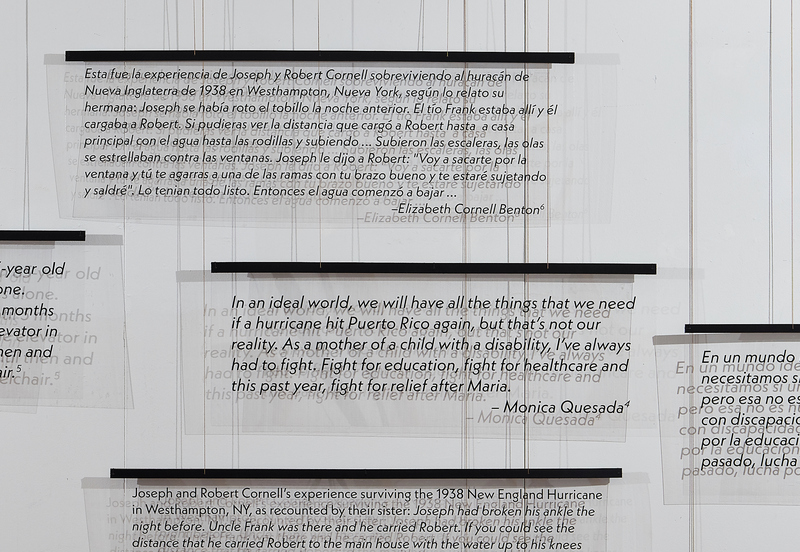 This project was possible thanks to a grant from the Robert and Joseph Cornell Memorial Foundation and an Emergency Grant from the Foundation for Contemporary Arts. “Aviary”, the 1949 installation by Joseph Cornell at the Egan Gallery: image courtesy Aaron Siskind Foundation. 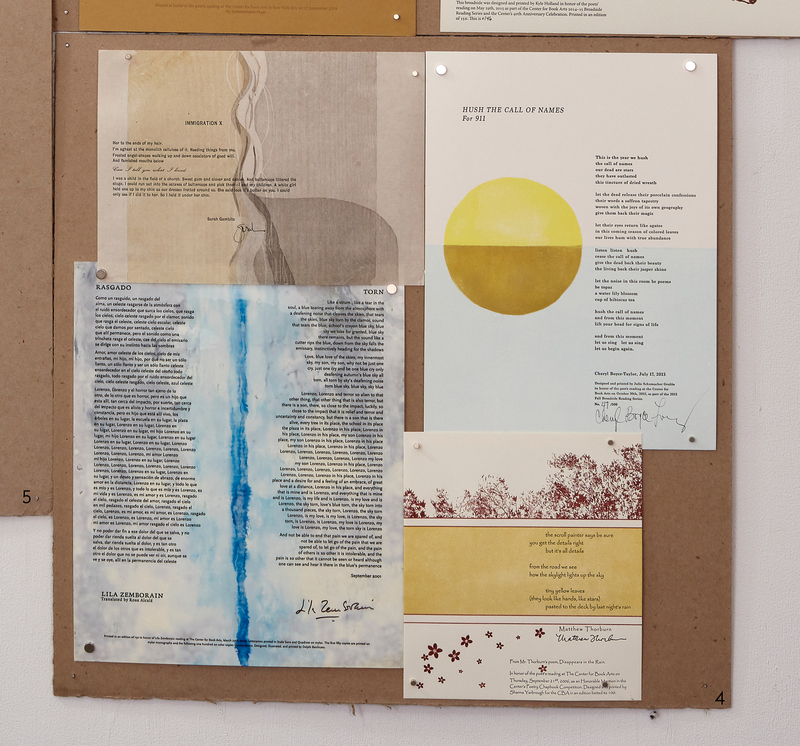 Poetry Broadsides loaned from The Center for Book Arts Broadside Reading Series.